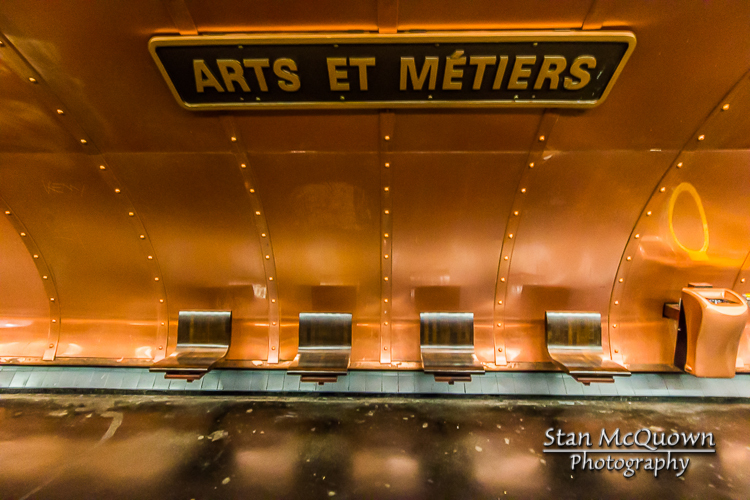 This walk starts at the Arts et Metiers Metro. 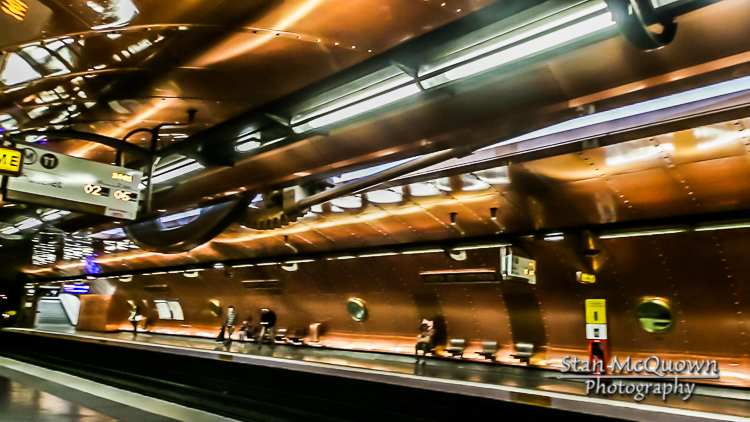 The Metro is the main metro stop for the Metiers Art Museum, and is an industrial design museum in Paris that houses the collection of the Conservatoire National des Arts et Métiers. The museum was founded in 1794 as a repository for the preservation of scientific instruments and inventions! 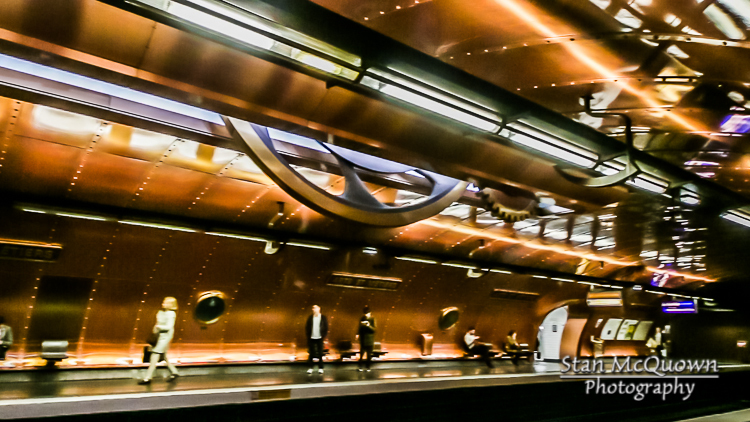 The Metro stop is a decorated art canvas in 3-D, a must see if you get the chance to make a change or just visit the Metro on it’s own. 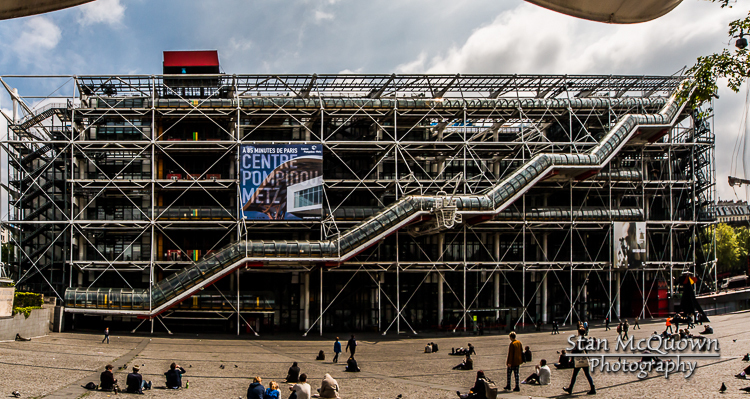 From here I walked to the Centre Pompidou at the Place Georges-Pompidou to find out that it is closed on Tuesdays, another lucky break, not! 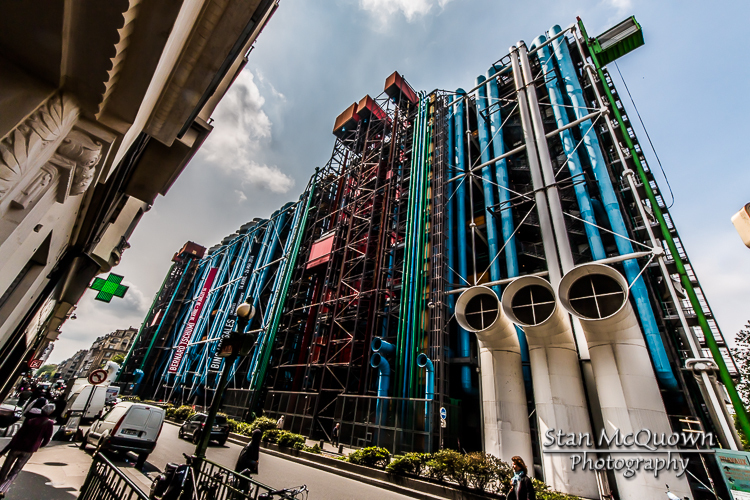 When the Centre Georges Pompidou was completed in 1977 initially, all of the functional structural elements of the building were colour-coded: green pipes are plumbing, blue ducts are for climate control, electrical wires are encased in yellow, and circulation elements and devices for safety (e.g., fire extinguishers) are red. However, recent visits suggest that this color-coding has partially lapsed, and many of the elements are simply painted white. 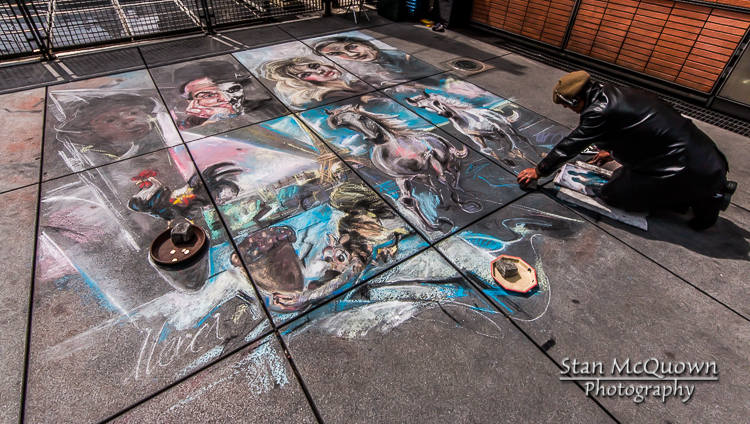 Street art at the Centre Georges Pompidou! 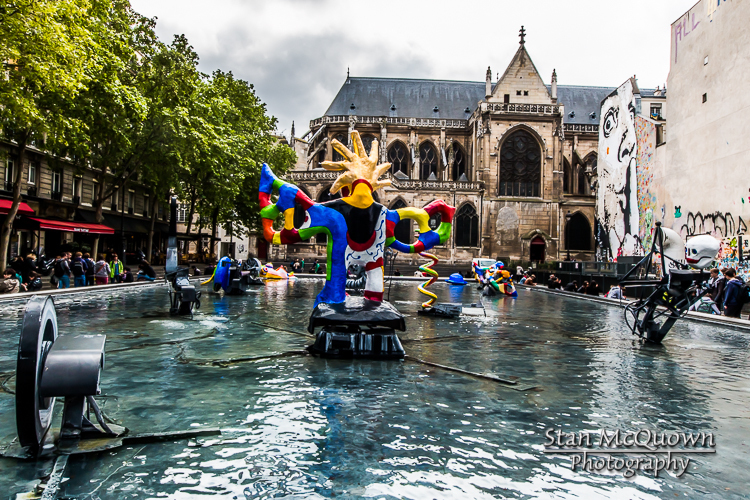 Fontaine Stravinsky and the Paroisse Saint Merry Church! 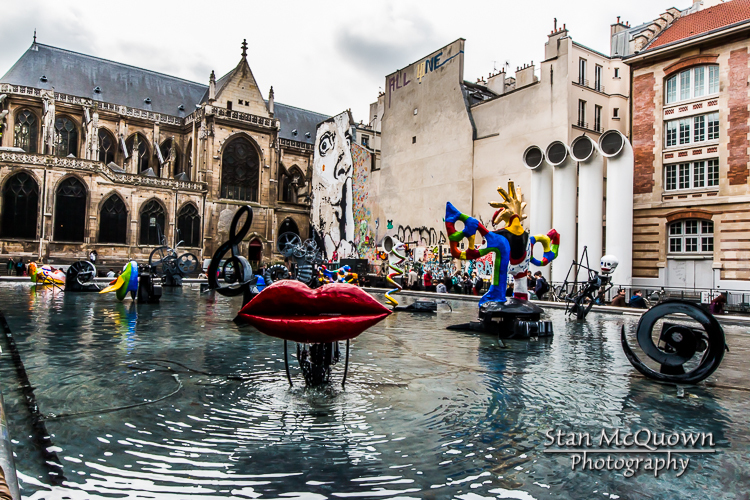 Fontaine Stravinsky and the Paroisse Saint Merry Church with some wall art and the air intake pipes for the George Pompidou Center! 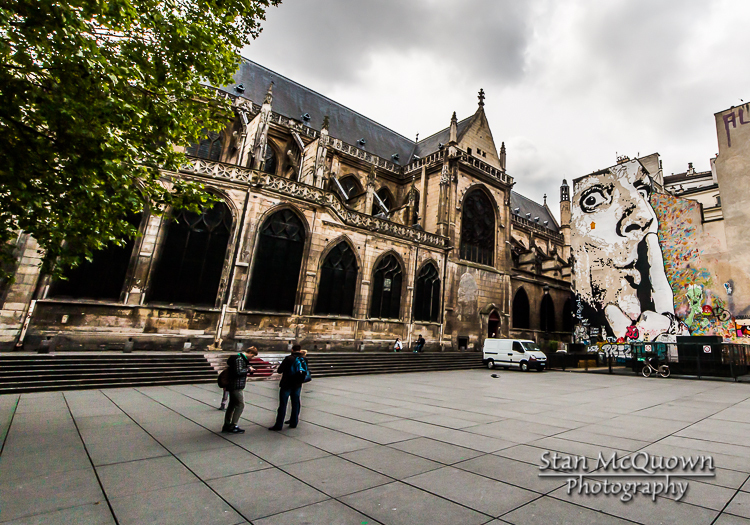 Paroisse Saint Merry Church and wall art! 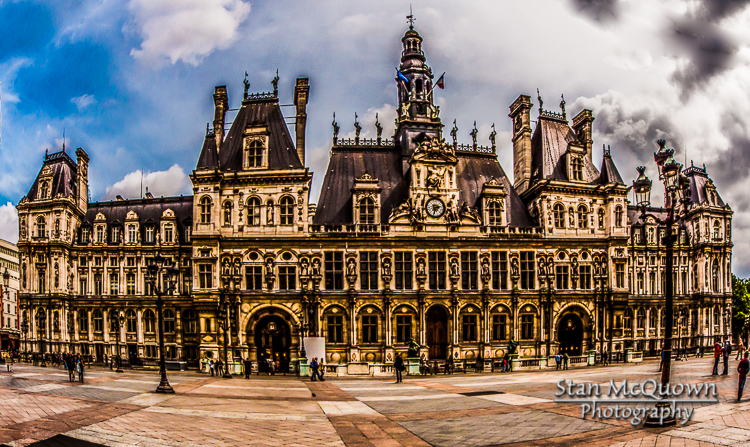 Hôtel de Ville is a building housing the city’s local administration. Standing on the place de l’Hôtel-de-Ville in the city’s IVe arrondissement, it has been the location of the municipality of Paris since 1357.